Want to send your child off to school with a nutritious lunch box that will help them get the most out of their day and keep them full? Try our top tips for a day of food your kids will love! Tip 1: Always pack fruit! 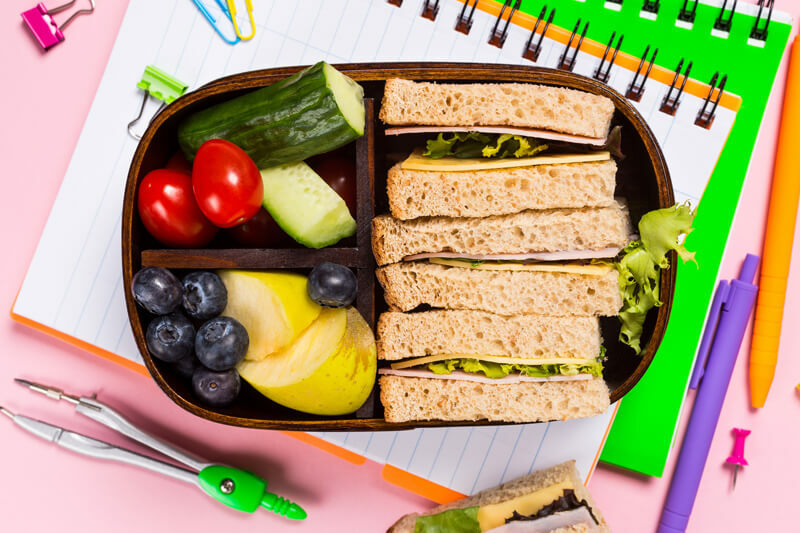 Opting for wholegrain breads, wraps and cereals in your childs lunch box will help keep them fuller and more energised for longer periods of time between meals. Try a wholegrain sandwich with chicken, lettuce, capsicum and hummus! Ditch the cakes and biscuits this year and toss in some carrots and peanut butter, popcorn, nuts, low sugar muesli bars or wholegrain crackers with their favourite spread.